Use the formal letter format in your appreciation letter even if you know the parties involved individually. Remember it is good to separate personal life from business. Use an interesting subject line in your letter to grab the attention of the reader. You should send your letter of appreciation as soon as the deal is signed or as soon as the end year meeting is over. Knowing how to time is critical. Begin your letter by stating the reason for writing while using simple and clear language that can be easily understood by the other party. 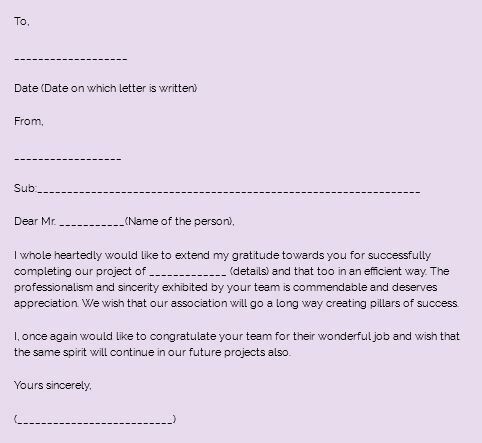 Conclude your letter of appreciation by thanking your receiver once more while indicating of your interest for continual collaboration. When signing off your appreciation letter, use your official names and include your signature as well as company stamp.